Another busy year in the world of Web design is drawing to a close and is almost behind us. It’s time to take a quick look at some of the year’s hottest trends in Web design – from the awesome to the irksome. 2014 marks the first year where more Web browsing has been done on mobile devices than on traditional desktops and laptops. The key question of 2014 has been how to make one website look the same on 50 different devices and 50 different web browsers. However, just because a client wants perfect legibility and beautiful rendering across a variety of seemingly never ending hardware-software combinations doesn’t make it easy to do. This has been a tough nut to crack and is a long way from perfection. SEO is still much talked about, even while Google is handing down judgments from on high. Though shalt not guest blog. Though shalt abandon authorship markup. And so the algorithm goes through changes almost as fast as we can keep up. The arms race for effective SEO runs apace, and as such is likely to continue to be hot on any web designer’s agenda for a while longer. Thankfully, one thing that makes this task easier is the rising trend for simple and minimalistic Web design. We’ve come a long way since the late 90s where it was de rigeur to slather rotating gifs, gaudy backgrounds, and blaring midi over everything. The smart word in Web design is now simple, clean, and functional. The UX is all and content is king, so to speak. Only areas of importance to the user are highlighted, and all else is beautiful white space and clean lines. Take this gorgeous, simple throwback design from Nine Sixty, a Manchester-based design team as an example. Like your Twitter or Facebook feeds, many more websites in 2014 are now experimenting with the process of infinite scrolling (and its obvious relationship with SEO). The jury is still out on this one, however. The reason it works for social media is that it is precisely the most user-friendly way to showcase the high volume of user-generated information. In this instance, it all depends on what you need from your website. What’s good for social media is not necessarily good for e-commerce, where the pesky footer information keeps jumping away from the user. However, its creative use has led to some really inventive and interesting designs. 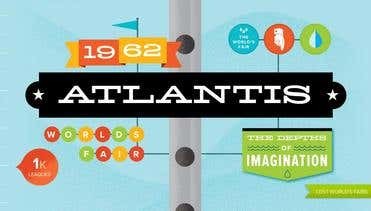 Take this wonderful website from Lost World’s Fairs. While they have been around for a few years now, the pace has only started to pick up now that people have more powerful machines and software. Their use has led to some really innovative and interesting designs recently. The potentially (when used right) UX-changing CSS Animations have been making our browser experience much closer to that offered by the Android/iOS operating systems. How long these design trends will stick around we don’t know, but these have certainly led to some fantastic examples of well-executed Web design in 2014.